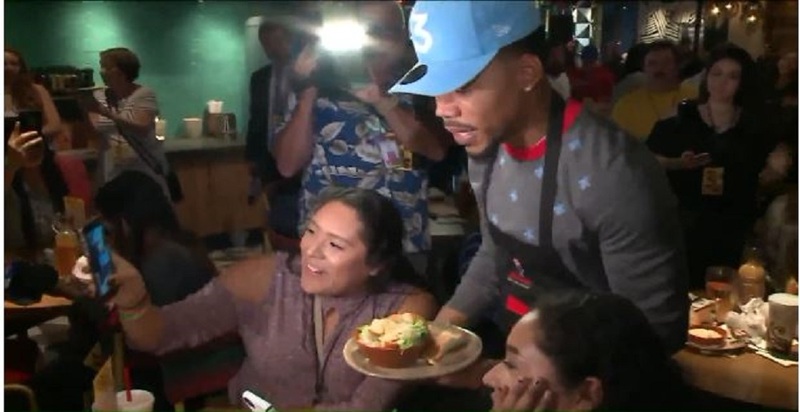 Grammy-winning performer Chance The Rapper greeted fans, grilled Nando’s PERi-PERi chicken and helped celebrate the Grand Opening of the new Nando’s restaurant on Michigan Avenue on Tuesday, Sept. 5. Nando’s donated all proceeds from sales at the new flagship location, over three days, Tuesday, Sept. 5 – Thursday, Sept. 7, to Chance’s non-Profit, SocialWorks, which helps empower Chicago youth. Watch the full segment on WGN here.